When their father inherits an old house in the town of Dark Falls, Amanda and Josh are excited--until they begin to suspect that the house is haunted. R.L. Stine's books have sold more than 300 million copies, making him one of the most popular children's authors in history. 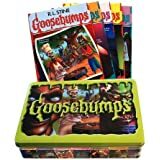 Besides Goosebumps, R.L. Stine has written series including: Fear Street, Rotten School, Mostly Ghostly, The Nightmare Room, and Dangerous Girls. R.L. Stine lives in New York with his wife, Jane, and his King Charles spaniel, Minnie. 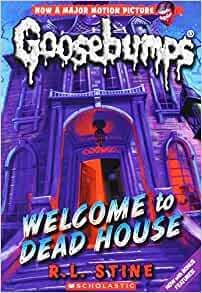 www.RLStine.com. 5つ星のうち4.0What is the horror for a child? For a child, moving is always a challenge. It means leaving the best friend and having to meet strangers and make friends with them. This story is about a little girl, Amanda, and her brother, Josh, who moved with their parents into a new house in a town called Dark Falls. Not a soul is to be seen on the street and the house is gross. Their dog, Petey, is always barking to every one he meets there. It is a town of the living dead and they want fresh blood of new comers. How can they get through? If you want to know, just read it!